Adorable bungalow home, perfect for first time buyers of those looking to downsize and best price in the amenity rich neighborhood. Home is on corner lot--the association dues cover lawn maintenance of most of this property (just a small patch between back of home to the 2 car garage is owner's responsibility). 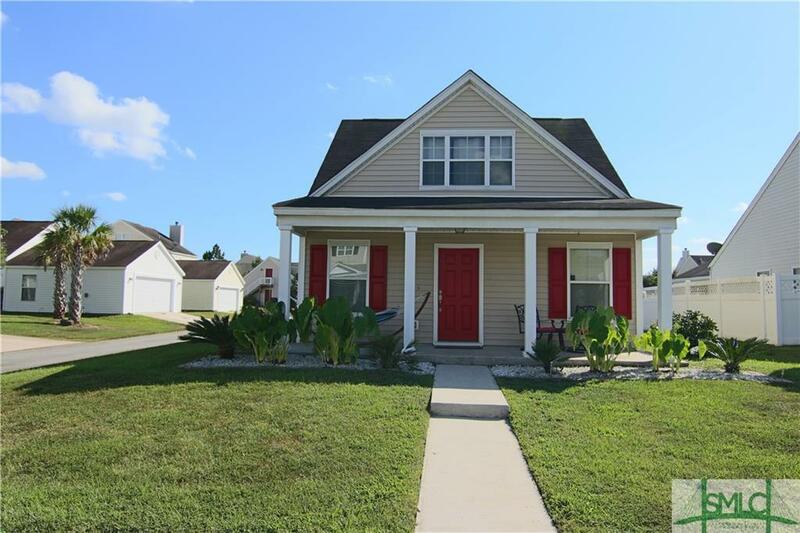 Cute floor plan with 2 bedrooms and a bath downstairs, living area with hardwood laminate opens to galley type kitchen and back to dining area with ceramic tile flooring lead to stairs to the larger master suite upstairs. Invisible fencing with great curb appeal. Wonderful opportunity to get into this desirable neighborhood at a great price! Seller is having new hot water heater and new garage door installed. New dishwasher, blinds and wood flooring upstairs and downstairs, new window shutters and topical landscaping garden bed with marble rocks.